French President Emmanuel Macron has tweeted his dismay after a Jewish child wearing a kippa was struck by two teenagers on Monday in Sarcelles, north of Paris. 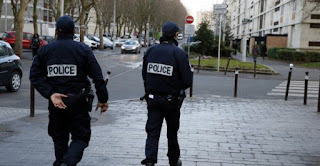 “An eight-year-old boy was assaulted today in Sarcelles. Because he was wearing a kippa. Every time a citizen is assaulted on the basis of his age, appearance or faith, the Republic as a whole is assaulted,” Macron declared on Twitter. “And it is the Republic as a whole today especially that stands alongside French people of the Jewish faith to fight these vile acts with them and for them,” the president added. The young boy was making his way to a tutoring session when he was assaulted by two teens he believed to be about 15 years old, according to the prosecutor’s office in Pontoise, suburban Paris. A police source told Agence France-Presse that the boy was knocked to the ground and struck multiple times. The prosecutor’s office has retained anti-Semitism as a motive in the case, according to Interior Minister Gérard Collomb. In a statement, the minister condemned “in the very strongest” terms the “cowardly assault” that he said was “contrary to our most fundamental values”. “Since the start of 2018, I have seen anti-Semitic acts multiplying again. I will not be resigned to that because those acts flout our Republic. They tarnish the principles that hold our nation united,” Collomb said. Sarcelles, nicknamed “Little Jerusalem” due to its large Jewish population, was rocked by anti-Jewish violence during the 2014 war in Gaza. Several shops were set on fire or vandalised, including a kosher grocery. That exodus has since slowed, but a spate of anti-Semitic attacks since have continued to frighten one of Europe’s largest Jewish communities, numbering an estimated half a million.